Dr. C. Gangalakshmi is a Senior Assistant Professor of English in Mepco Schlenk Engineering College, Sivakasi, Tamil Nadu. She has been teaching English for more than 10 years. She has completed BEC higher exam at C1 level. Further she has got to her credits 34 publications in various Journals, 10 publications in books, authored one book, completed 5 online courses, organized various workshops and one International Conference ànd was awarded the ‘Best Coordinator Award’ by Cambridge university, London. She has presented her papers in 19 International Conferences and more than 30 National Conferences. Her area of Interest is English Language Teaching and Diaspora Literature that extends to the soul concern of the LEGH Movement. 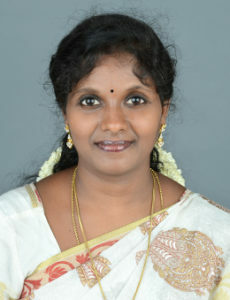 She is one of the EC Members of FSLE-India for its Tamil Nadu Region.